​​A family owned business which offers a WIDE variety of spa services! Located in one of our cities century buildings; right in the heart of downtown Sudbury. 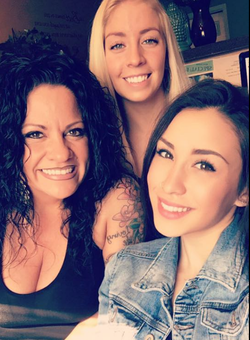 Our amazing staff prides themselves on outstanding service and make sure you have a wonderful time when you visit. As a team we do our best to make you feel right at home and ensure you leave with a smile! At our Spa you will find Soul & laughter coming out of our multiple rooms. Unlike traditional spas we have a blues, jazz, acoustic, and traditional spa mixed playlist which has been carefully selected by our staff & regular clientele. Contrary to most spas we have loungewear instead of robes available for spa days from sizes small to extra large to allow you to sit throughout the spa in a relaxed fashion. A complimentary lunch or 10% discount is offered when booking 3 or more services. We do however use top notch luxurious products for all of our services to ensure you have the best spa treatments possible. And if your looking for the most beautiful lashes, amazing manicures & pedicures, lovely nail extensions, knowledgeable & experienced massage therapy treatments, luxurious feeling facials, professional & experienced body contouring & laser treatments, lifestyle & competitive coaching (just to name a few of our specialties) Serendipity is definitely the place for You! Please let us know in advance should you have any special requirements for your time with us. ​We then rotate everyone so that way everybody is accommodated at once! If you have a larger party we will also shift around chairs and such so everyone can be together and no one is left waiting alone! We can combine any services into a package so give us a call and we will arrange something for your special occasion! Make it a spa day by picking 3 services and we will have lunch brought in from one of our local downtown restaurants complimentary!! You can purchase online HERE, over the phone, or in person! ​Purchase for specific service or any denomination. I am so pleased to have the opportunity to welcome you to our site & look forward to having you join us at the spa. Serendipity Day Spa on Durham was built with endless amounts of heart & love. The efforts of all of those who took part in creating our amazing location will guarantee an experience of quality to be felt by everyone. I invite all past clients, family, and friends to visit us and promise the quality of service you had become accustomed to at my previous location. Our amazing team looks forward to meeting all of you! I am so grateful to have the ability to work so closely with my two beautiful daughters who have been a key element in making this journey a fabulous one!